Adaptable and friendly staff. Very flexible and helpful, as we arrived quite late, though this didn't seem to be a problem at all. Gave good tips for travel in both Florence and Rome. Thanks for having us! Look for the gray NAZIONALE sign that is vertical down the side of the building! I really enjoyed my stay here! It was very affordable for a private room and the bathrooms were remodeled which was very nice. I took full advantage of the expresso maker outside my room for .50 a cup. The staff was so friendly and I really appreciated the 24/7 desk attendant. It’s located in a great area with bars and cheap but amazing food. The ac was cold and they cleaned the room every day! . Thank you!! 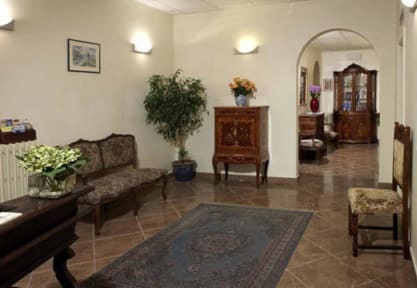 We loved staying at Nazionale, it is more like a home where they rent rooms, it has everything you need close by and the owner Manuela is super nice and she can tell you all the good spots to go in Florence. We totally recommend staying at Nazionale. I didn't know the hotel was at 3rd floor, and no hairdryer, but other things were very nice. The place is very convenient to go shopping, sightseeing, launderette, etc. The host and hostess were kind and friendly. Close to the train station and great staff! Great place to stay. 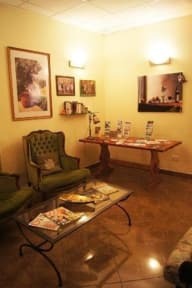 24 hour reception, very clean, close to the train station, and great staff to help. Wifi didn’t work the time I was there and then the AirCon wasn’t working either and it was the middle of July so it was hot. They were kind enough to give us a fan. The owner told me she’s putting in new units but that wasn’t going to help me.